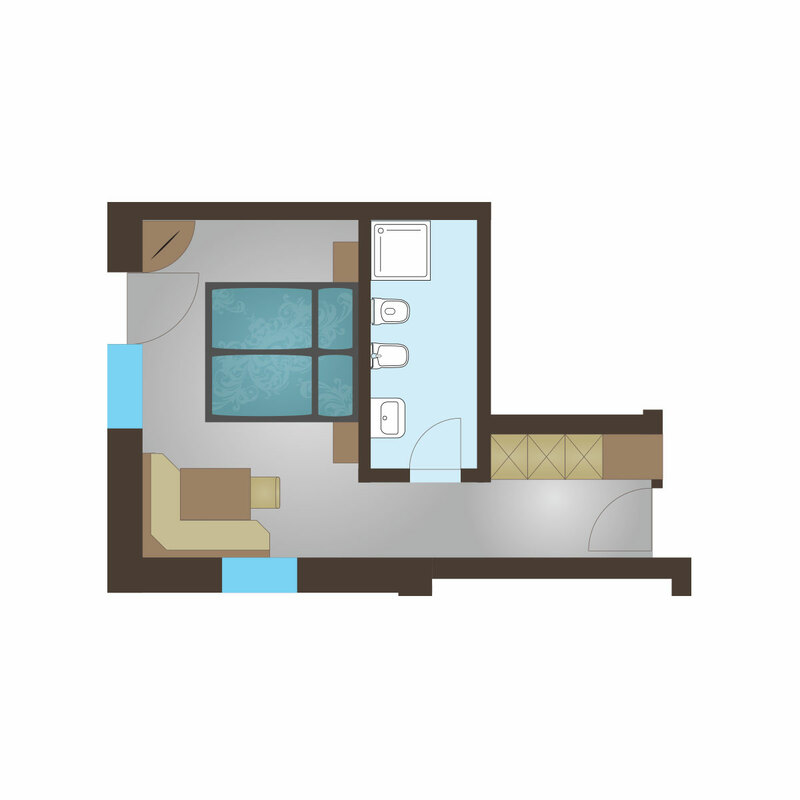 An incredibly spacious suite with king-size double bed, large comfortable corner seating area with couch, an additional double bedroom and double sofa bed. 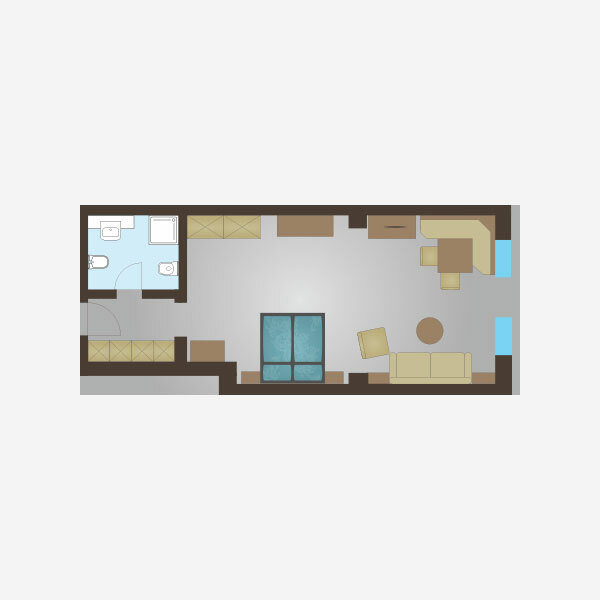 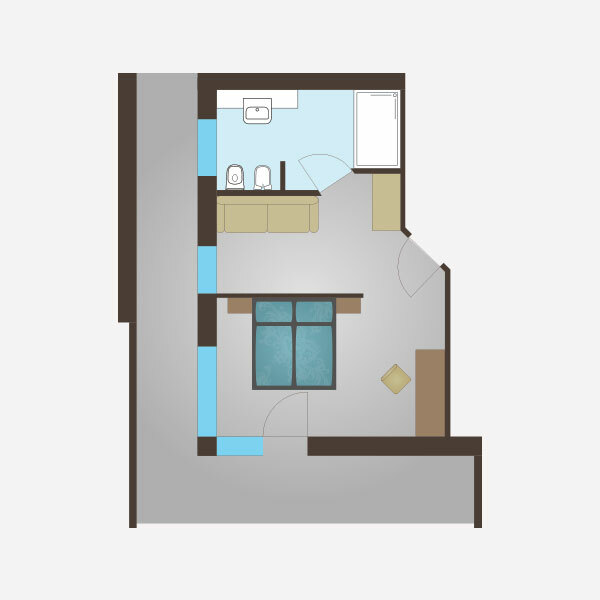 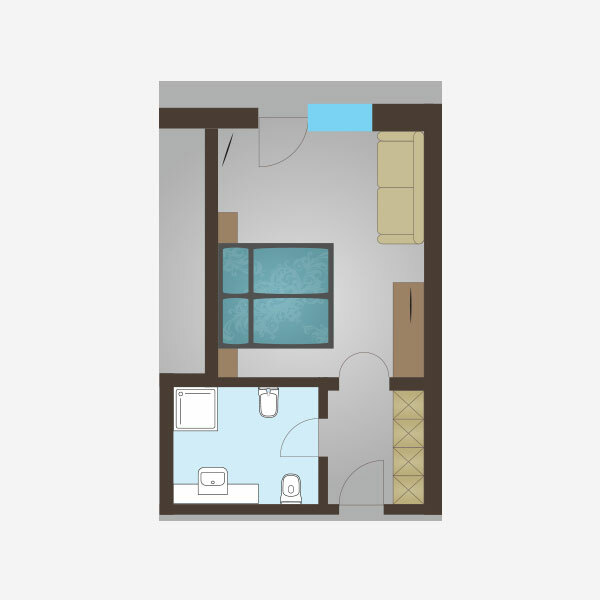 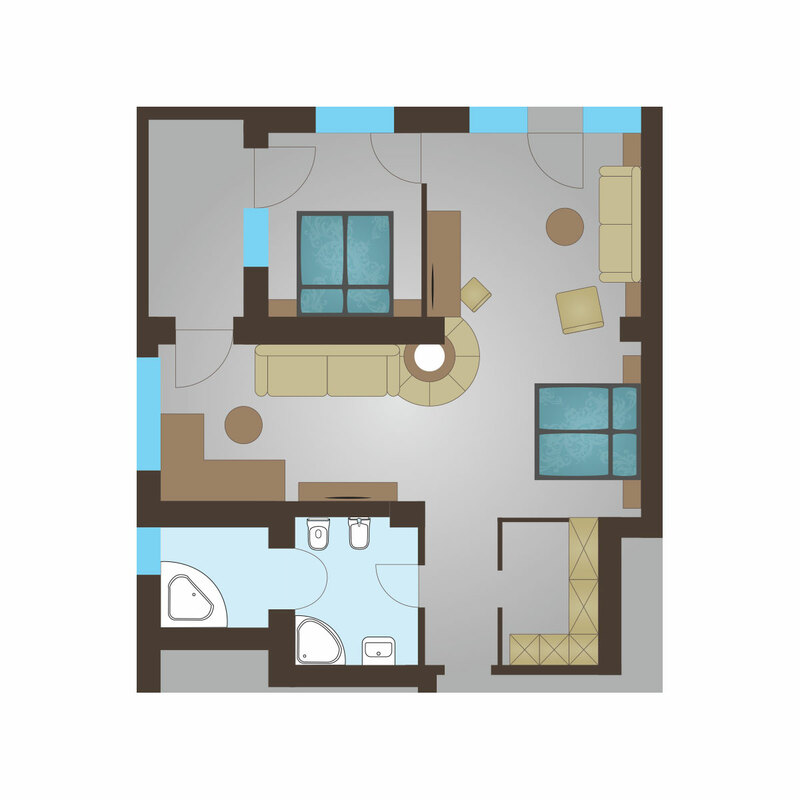 Large bathroom with corner bath, corner shower, WC, bidet, window and hairdryer. The suite is also equipped with a safe, minibar and 2 modern flat screen TVs. 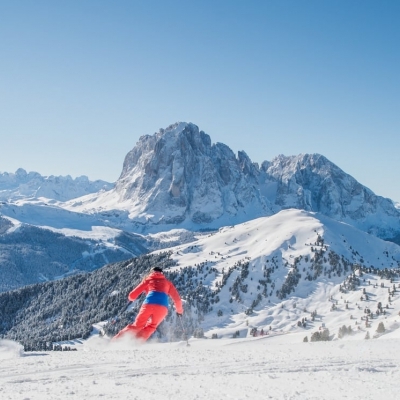 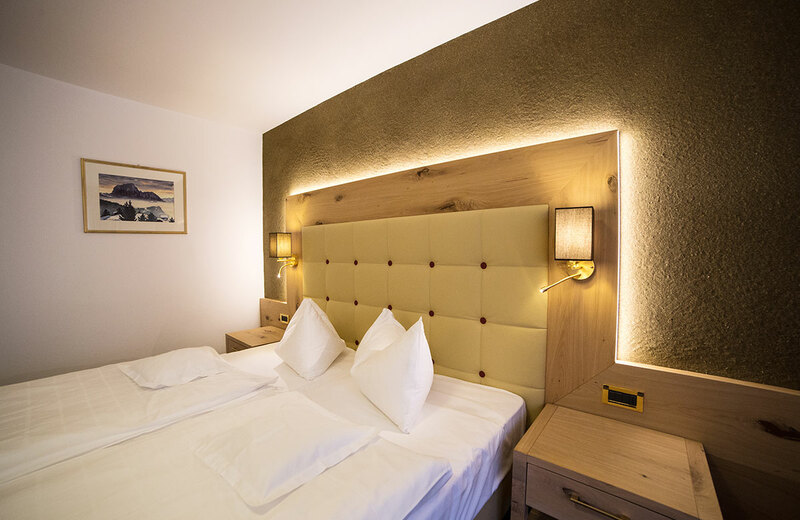 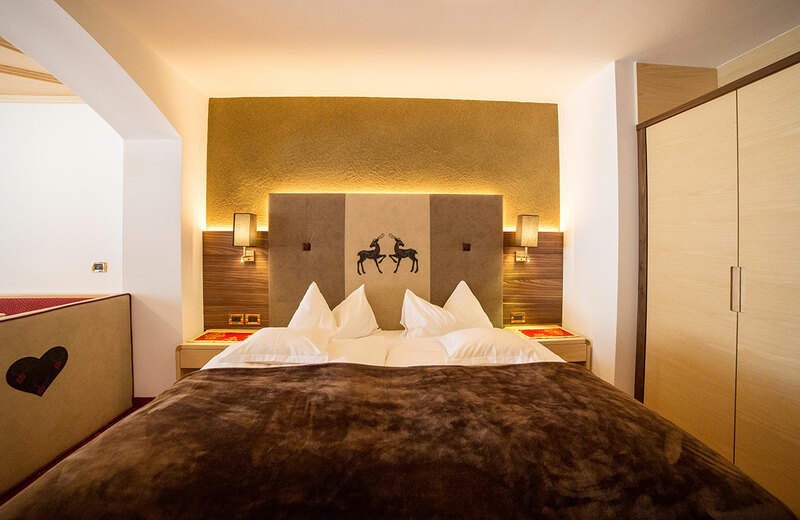 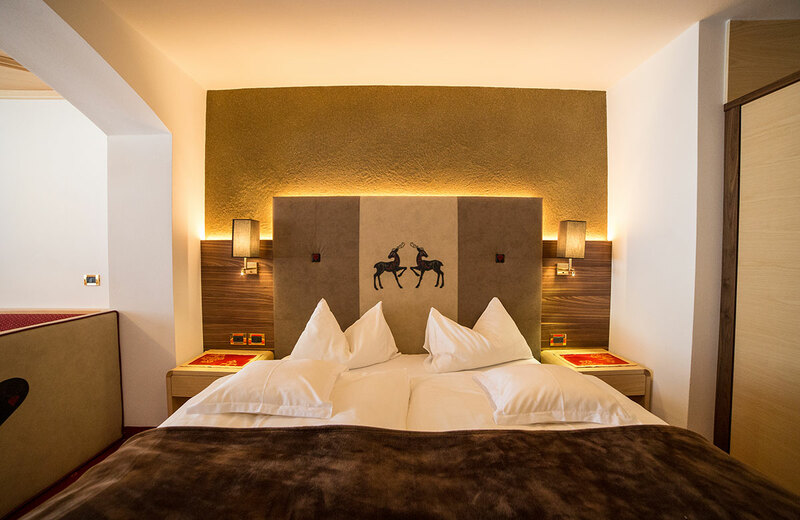 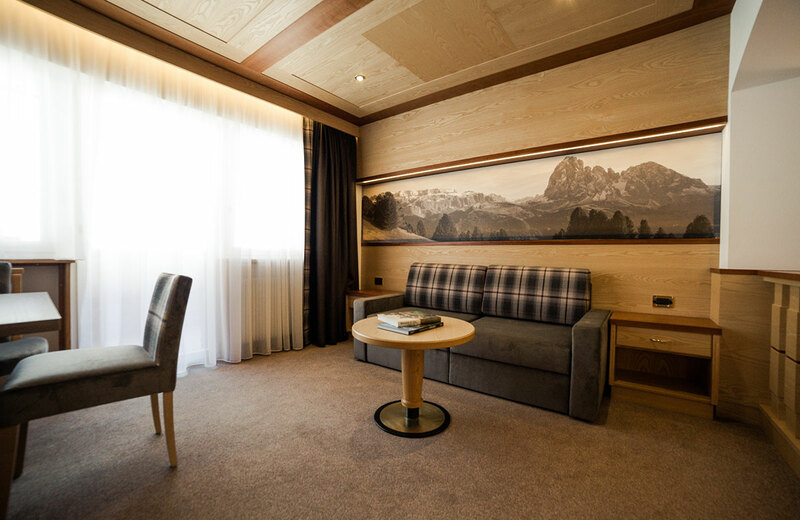 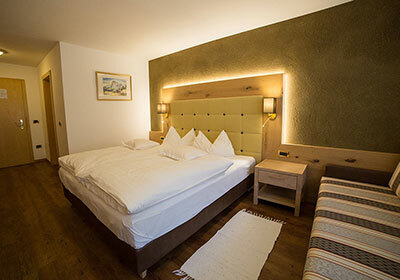 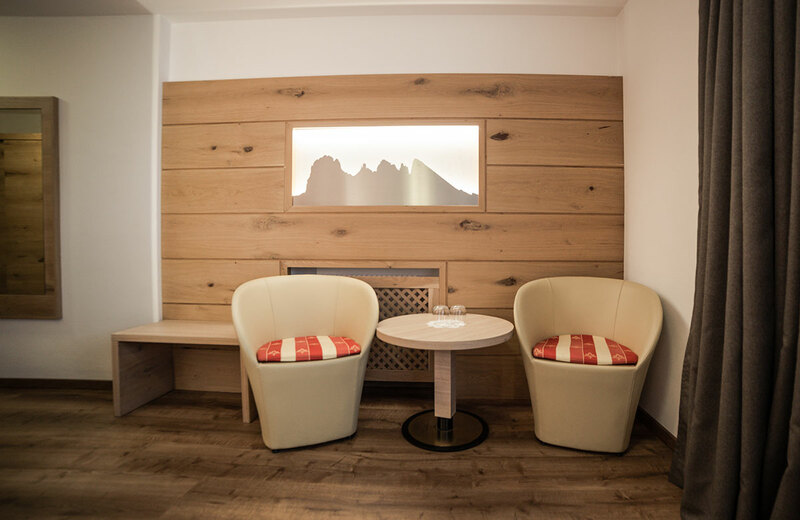 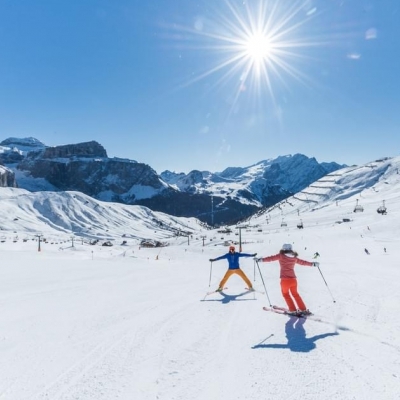 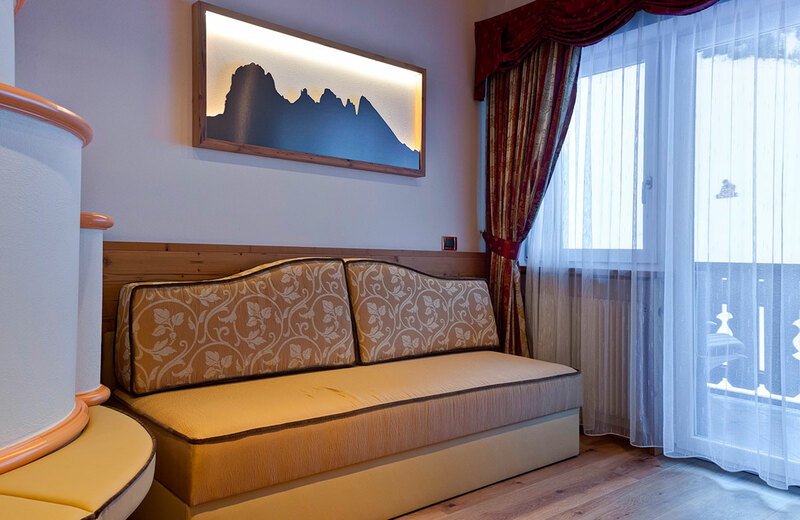 Our Ciampinoi suite is really bright and friendly with its many windows and 2 balconies with a direct view of the imposing Sella mountain range, overlooking green meadows and, in winter, the Ciampinoi ski slopes, which are part of the Sellaronda circuit. 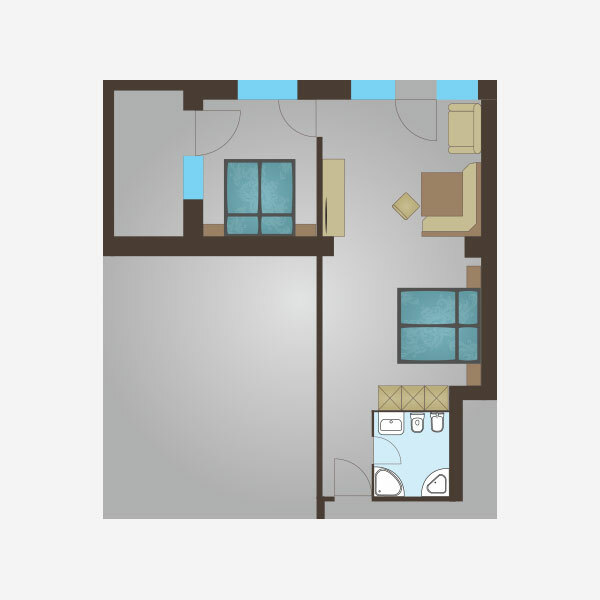 The suite measures approx. 60m², it is very comfortably furnished and can accommodate up to 6 people but is also ideal for married couples who want comfort and plenty of room to move about. 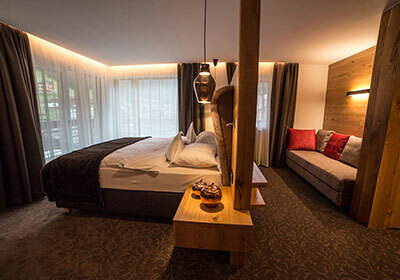 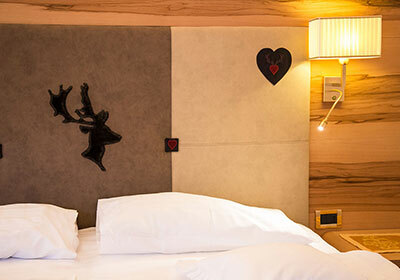 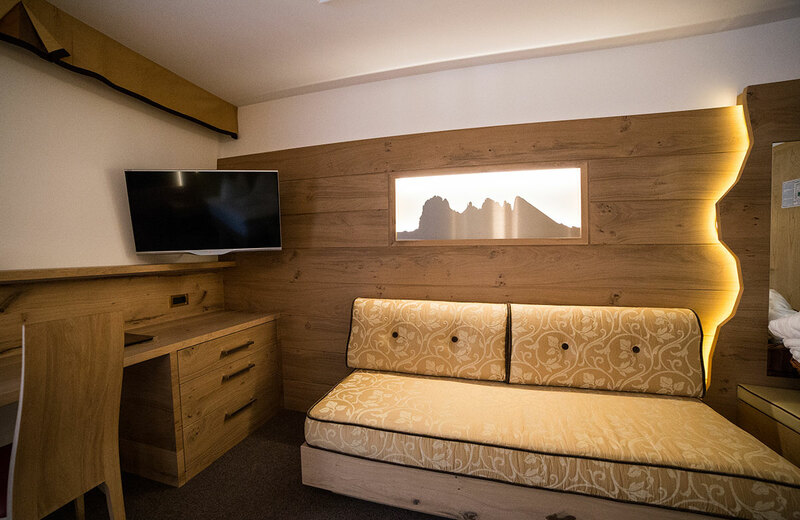 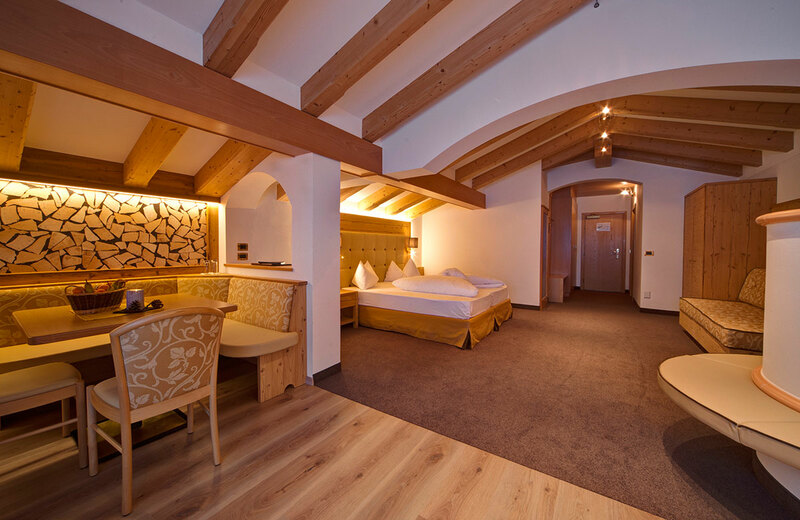 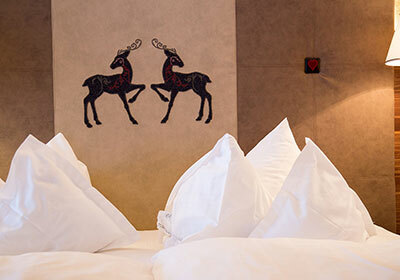 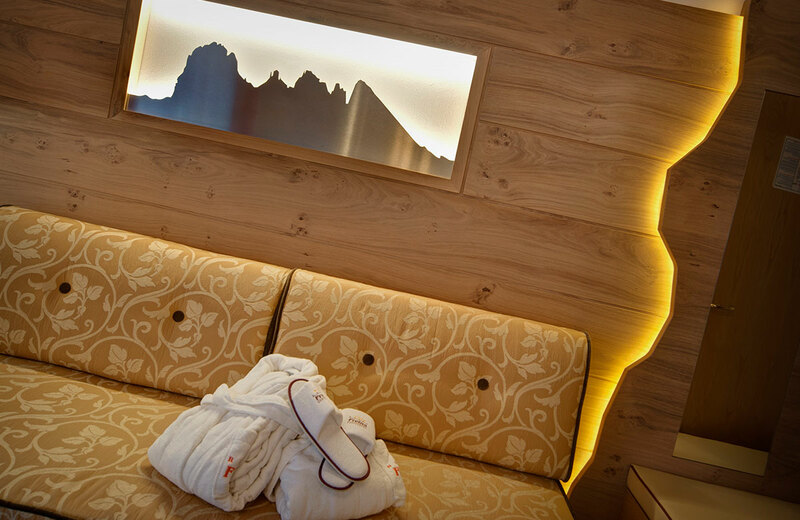 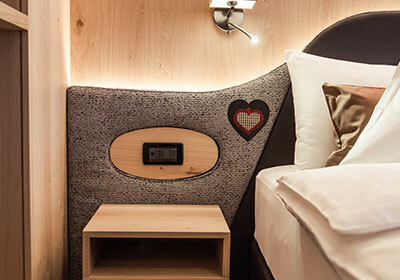 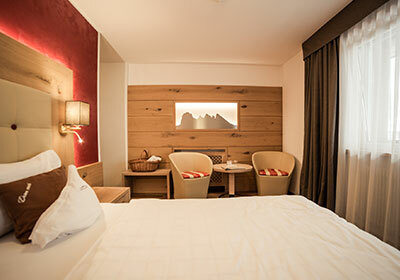 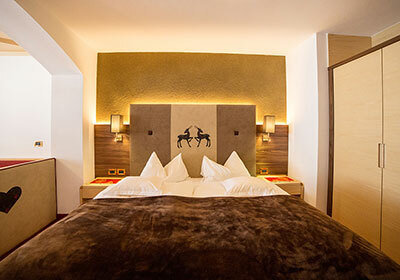 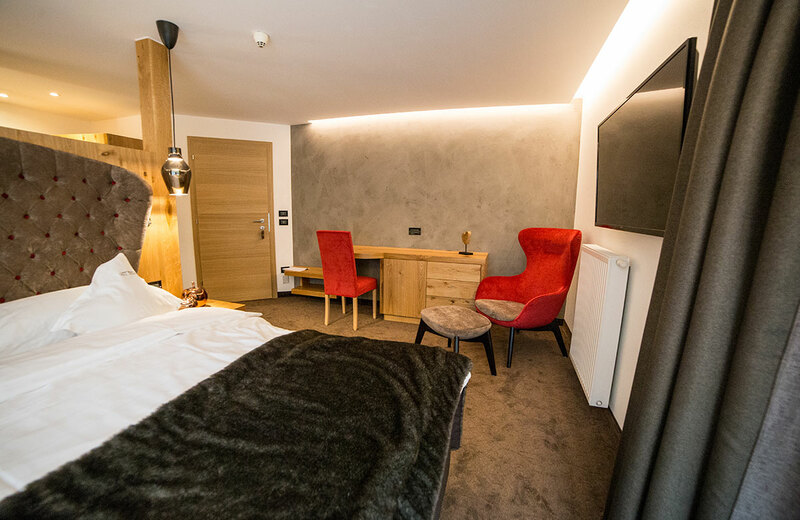 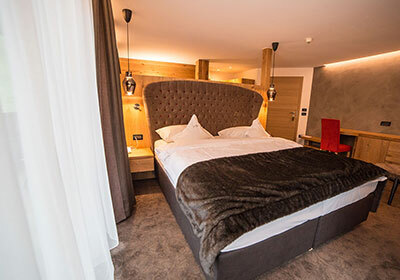 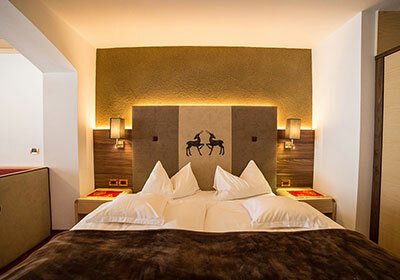 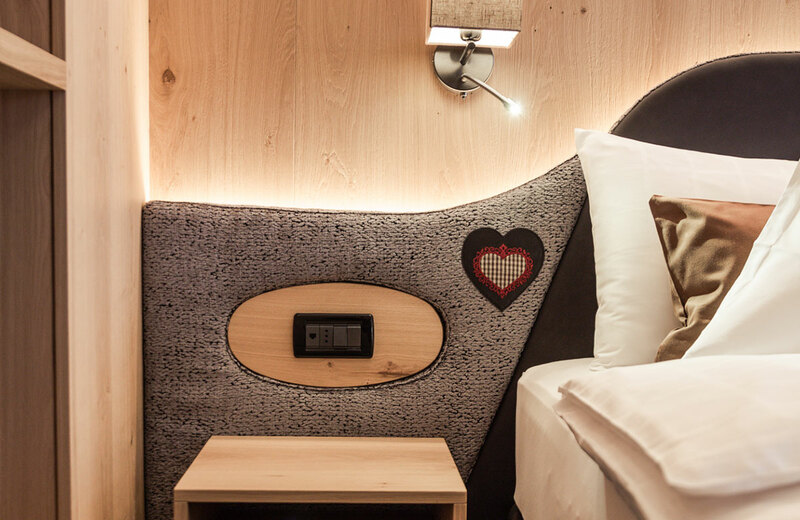 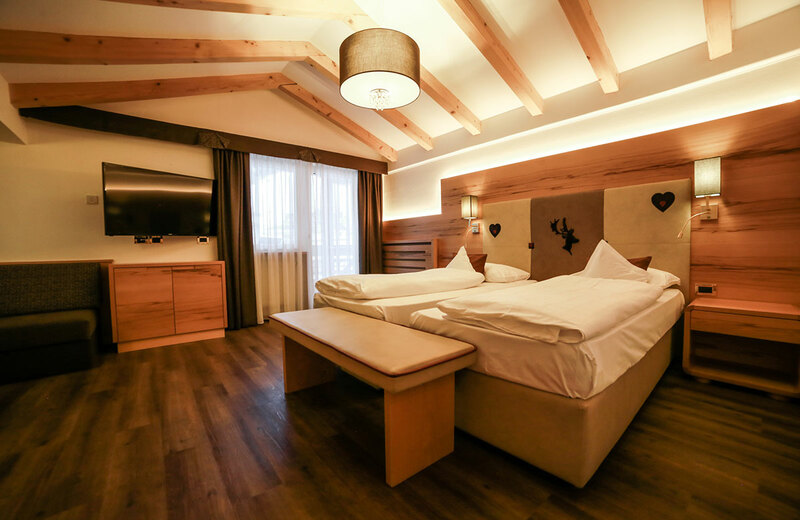 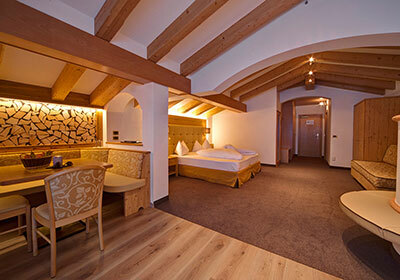 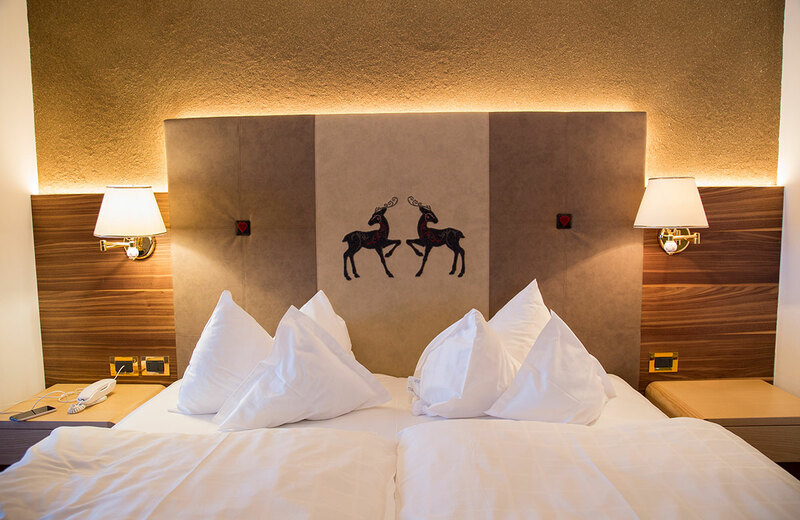 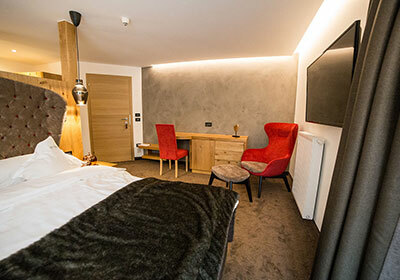 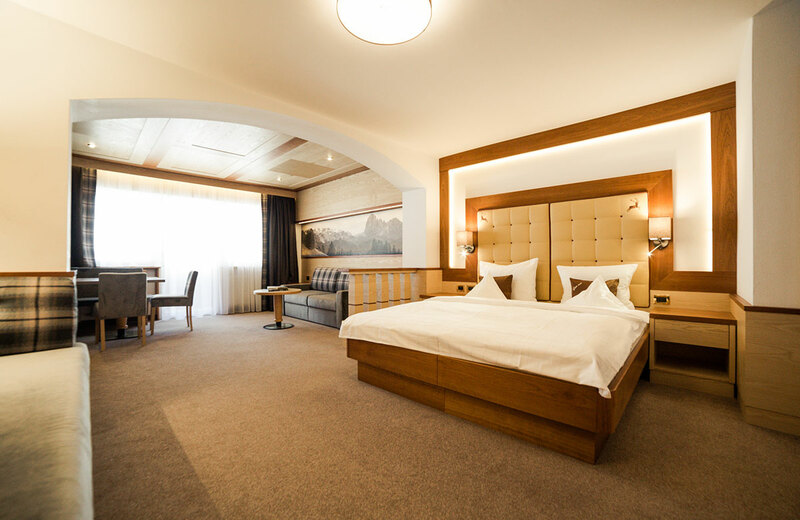 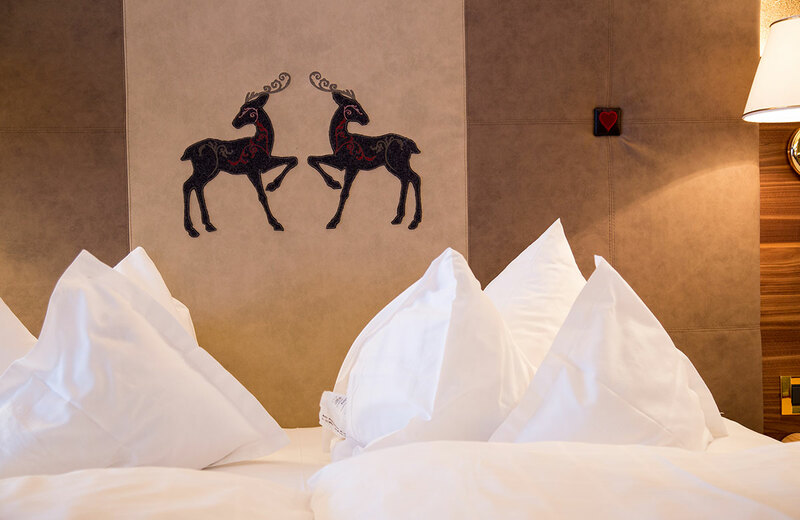 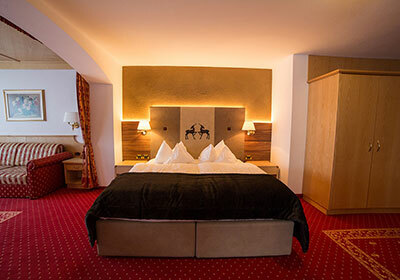 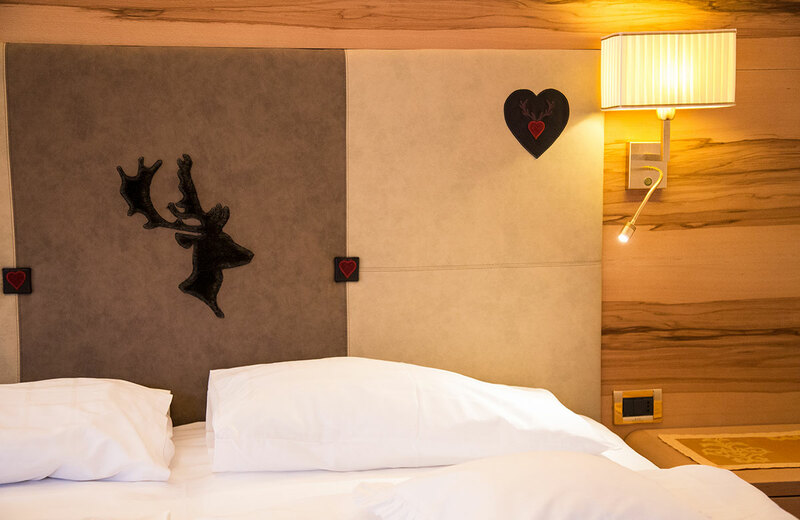 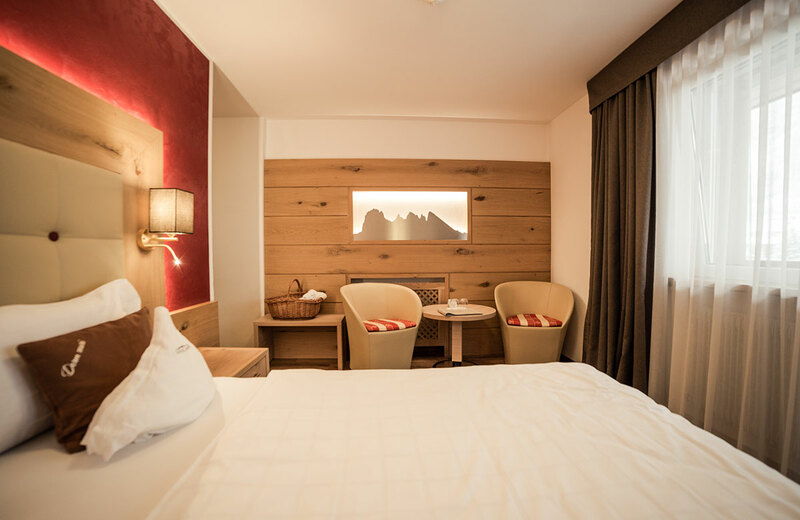 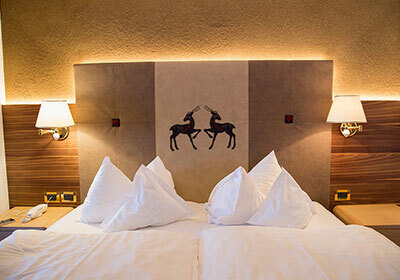 The 34m² Panorama room is constructed using local oak, with a king-size bed and a unique view of the Sella mountain through its window façade. The room also has a large corner balcony, a spacious bathroom with shower, WC, bidet, hairdryer and window, a minibar, divan and flat screen TV. 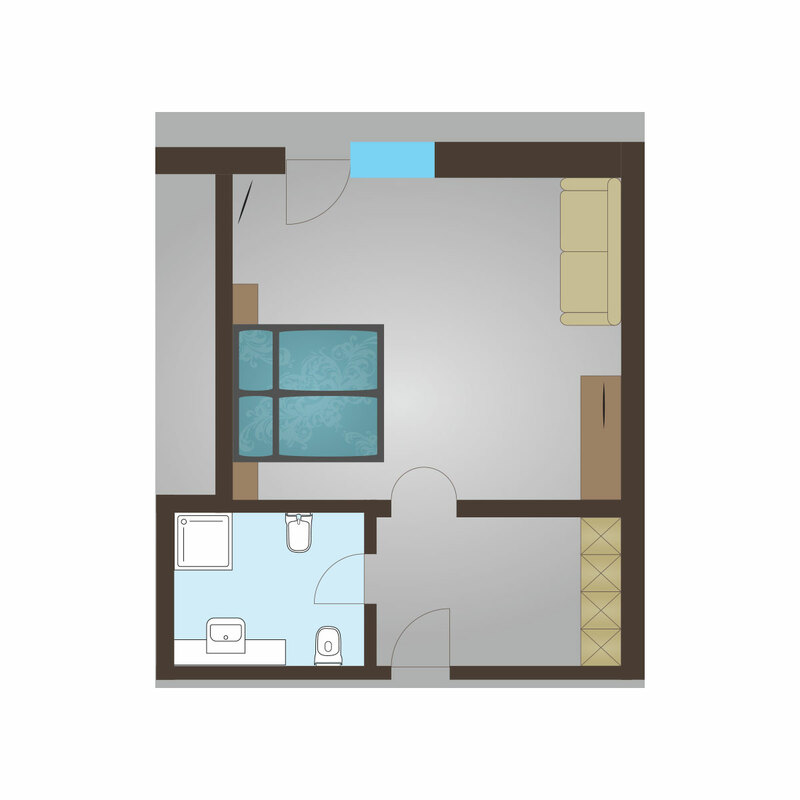 The room measures approx. 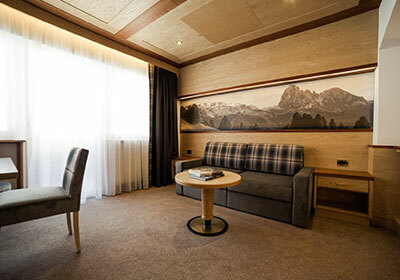 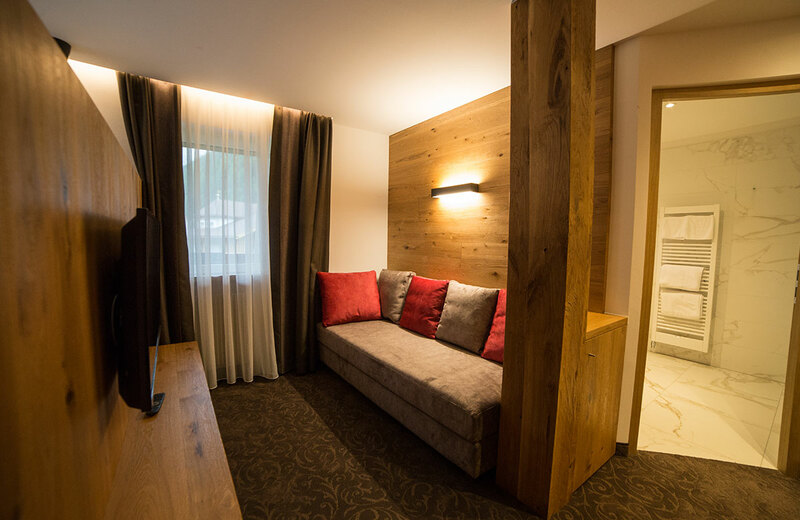 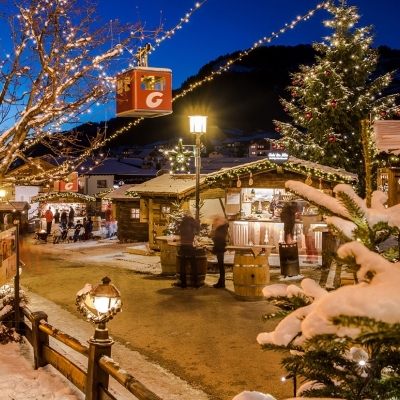 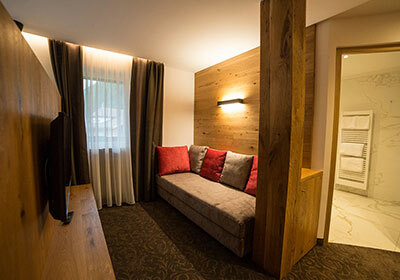 38 m² and is furnished in a modern alpine style. 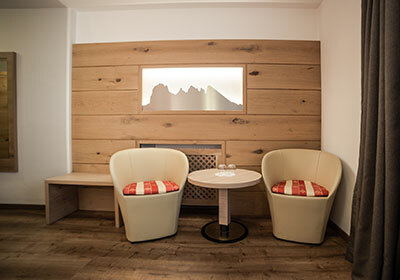 The cosy corner seating area, comfy sofa and modern flat screen TV will make you feel really welcome. 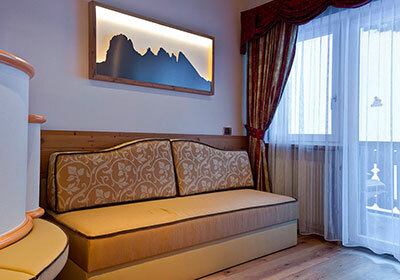 The large window façade with a generous balcony looks out directly over green meadows, and in winter over the Ciampinoi ski slopes, which are part of the Sellaronda circuit. 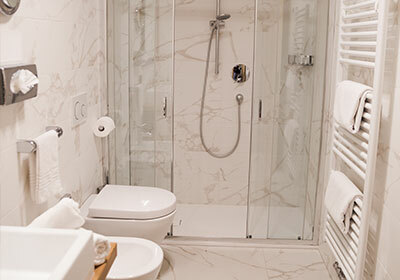 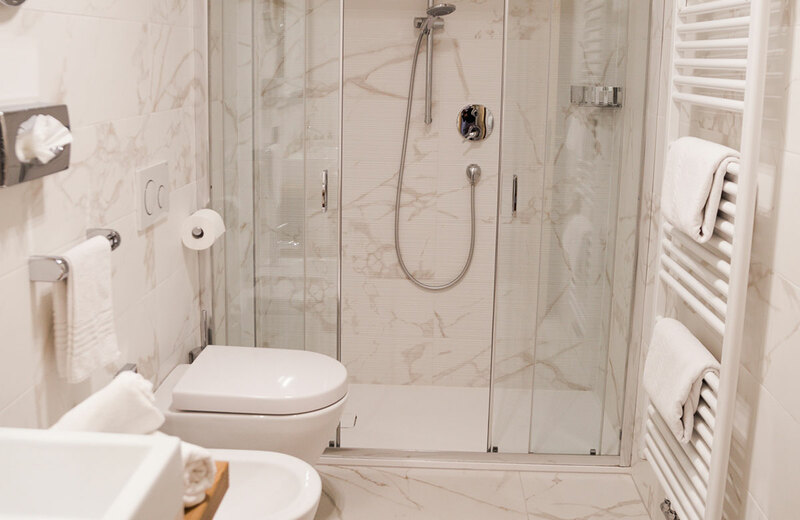 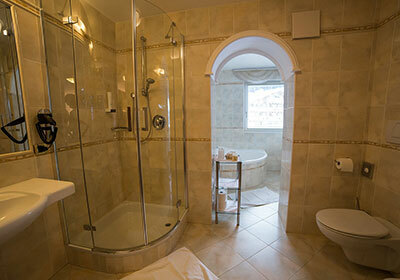 Guests can opt for either bath or shower and the room has a WC, bidet, hairdryer, room safe and Wi-Fi. 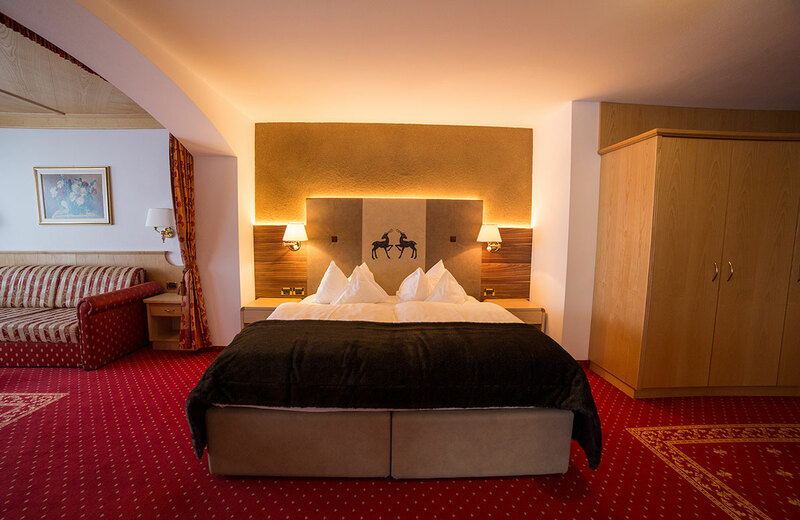 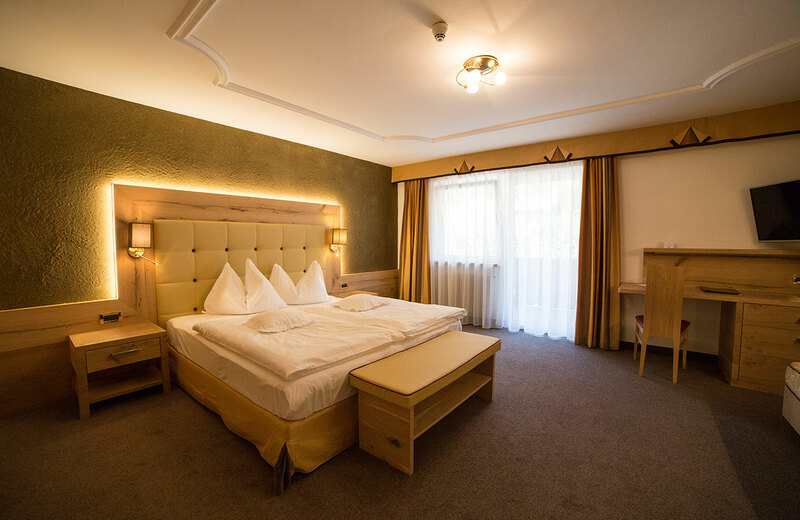 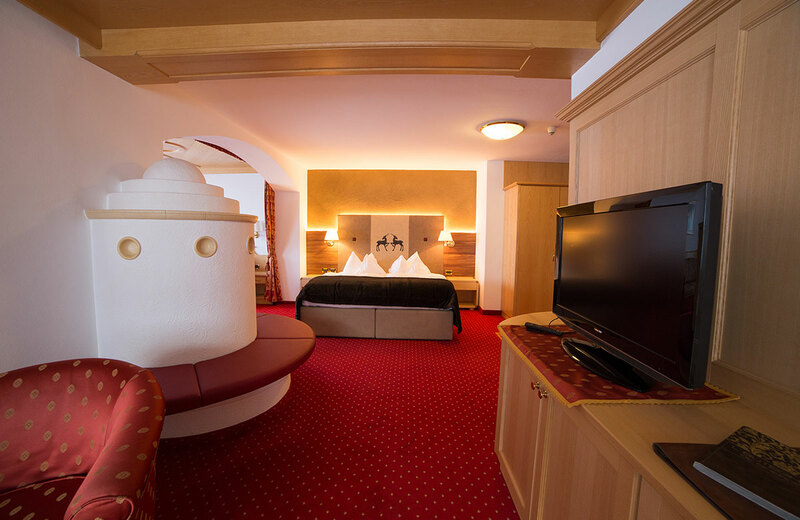 Very spacious rooms, perfect even for 3-4 people. 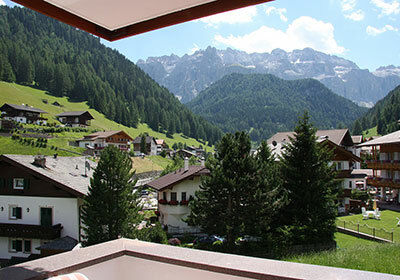 A superior room with an additional second double bedroom, shower and corner bath, WC, bidet, hairdryer, room safe, 2 modern flat screen TVs, a comfy corner seating area and 2 balconies with a direct view of the imposing Sella mountain range, overlooking green meadows and, in winter, a view over the Ciampinoi ski slopes, which are part of the Sellaronda circuit. 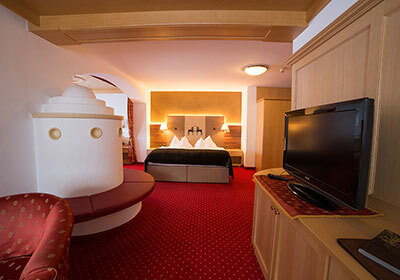 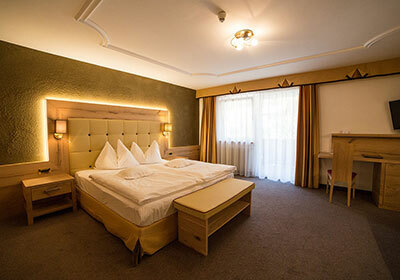 The Superior Premium rooms measure approx. 45m², they are very comfortably furnished and can accommodate up to 4 people. These rooms measure approx. 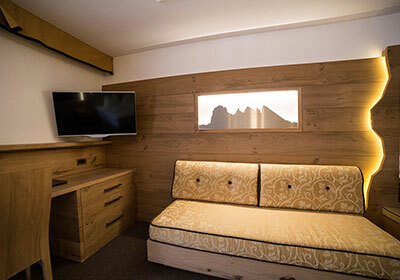 30 m² and, although they vary in design, all are extremely comfortable and very spacious. 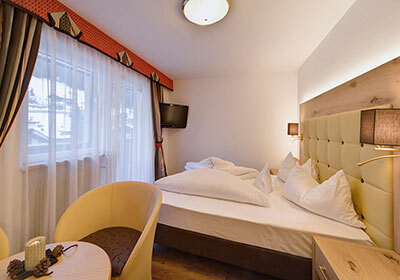 There is space for a third person and the rooms can also be booked with twin beds. 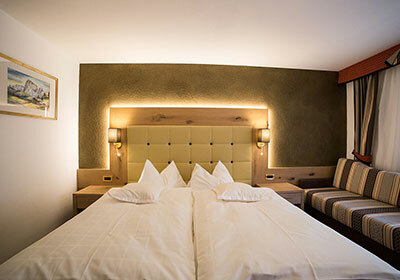 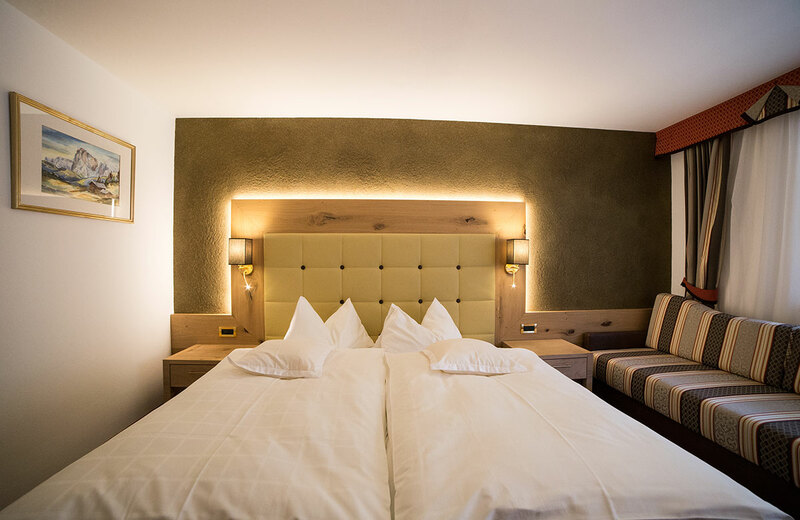 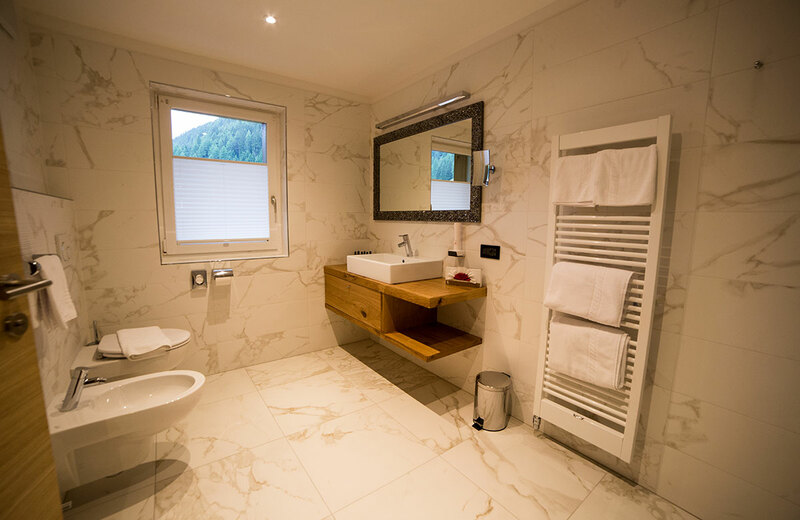 The “Comfort” rooms provide a shower or bath, WC, bidet, hairdryer, room safe, modern flat screen satellite TV, Wi-Fi and a balcony overlooking Selva and a view to the side of the Sella mountain range. These rooms measure approx. 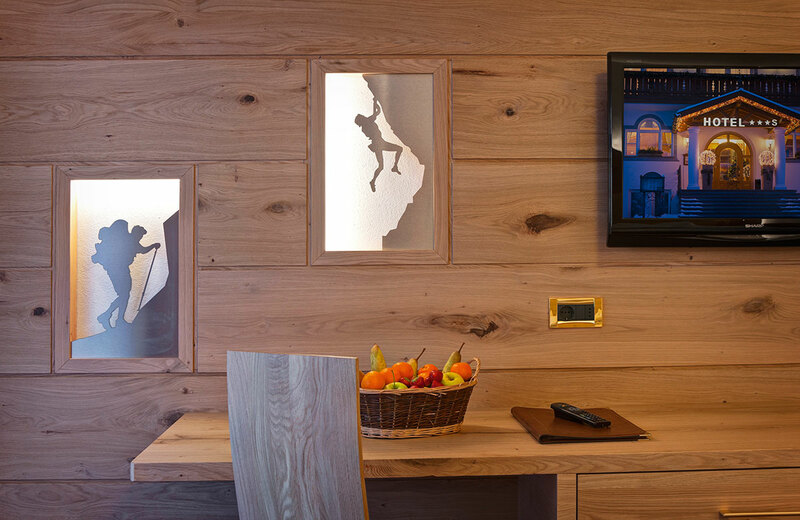 26 m² and combine traditional local materials with modern wooden furniture designs. 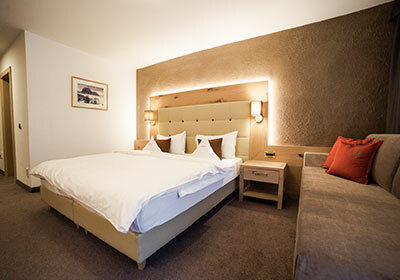 They are very comfortably furnished and can also be booked with twin beds or a third bed. 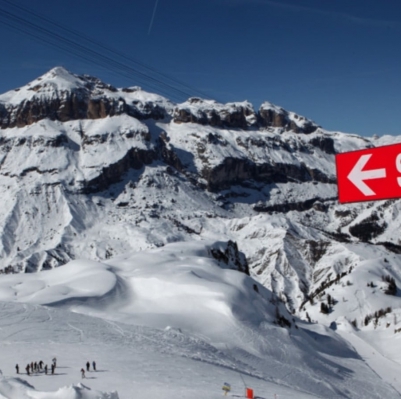 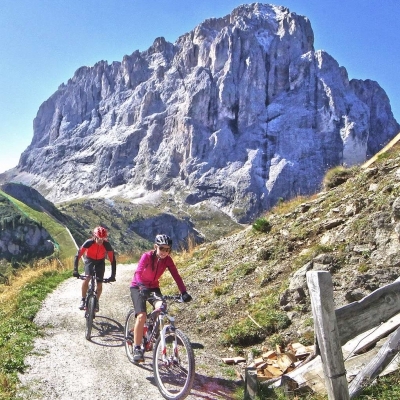 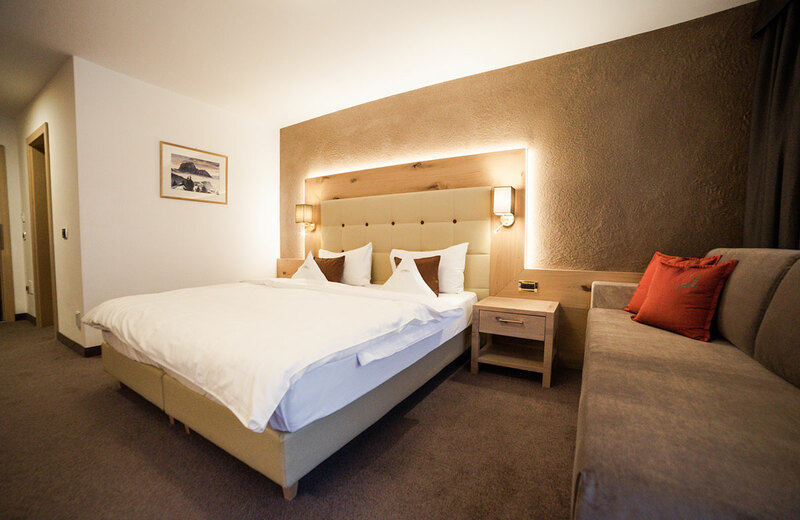 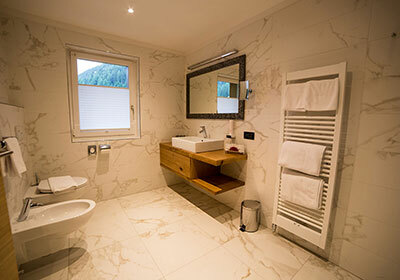 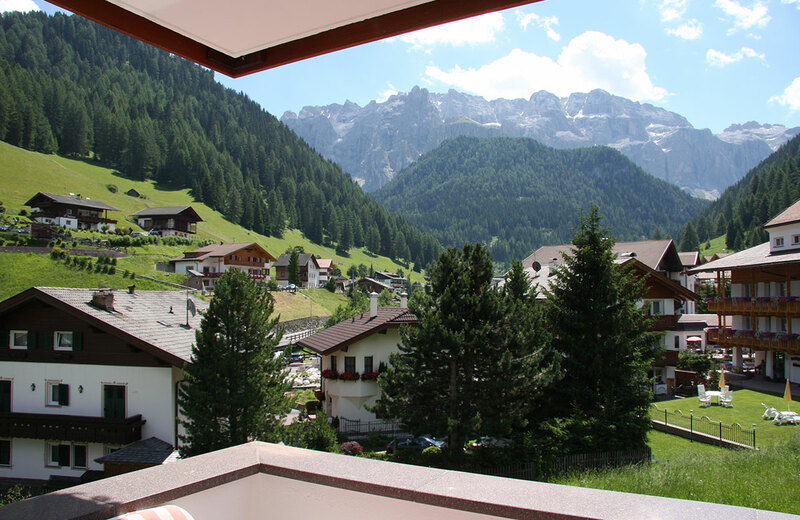 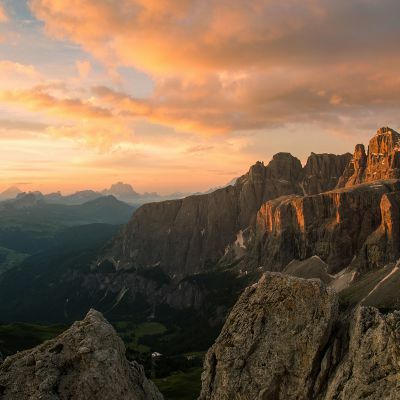 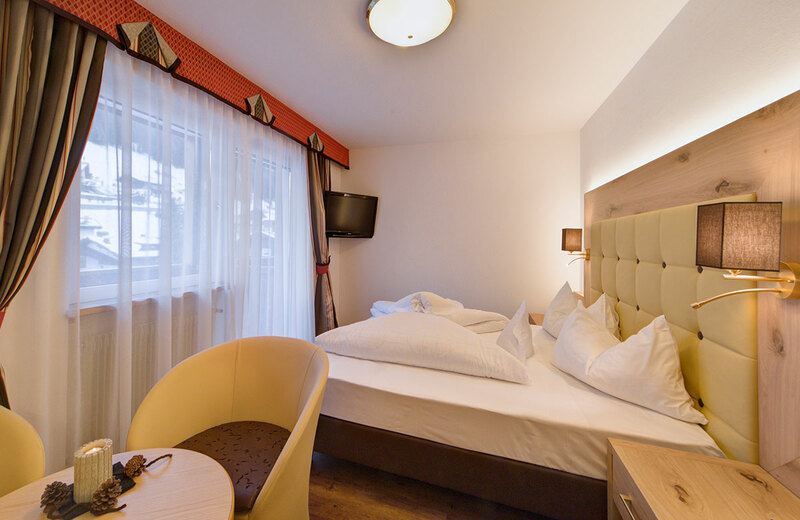 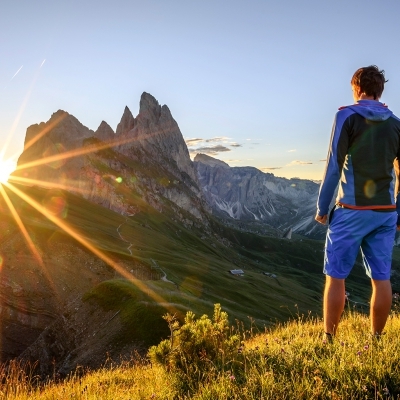 The Dolomiti rooms offer a shower, WC, bidet, hairdryer, room safe, modern flat screen satellite TV, Wi-Fi, and a balcony with a view of Selva and the Stevia mountain. Our smallest and cosiest rooms measuring approx. 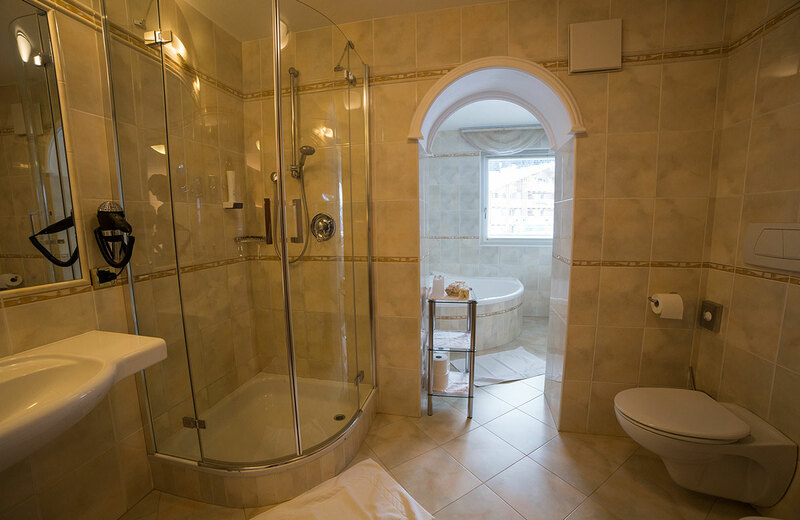 22m², offering a shower, WC, bidet, hairdryer, room safe, modern flat screen satellite TV, Wi-Fi, balcony with a view of the village and an incredible view of the Stevia mountain. 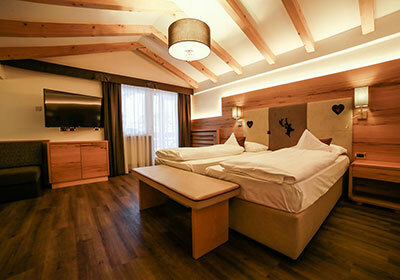 Can also be booked for single occupancy.